Millions of people vacation to the Smokies every year to experience the scenic beauty and the many attractions! There are endless options for entertainment and fun that will make for unforgettable memories. We are here to help you save money and stick to your budget while checking off all the things on your vacation bucket list. When you stay with us, you can rest easy knowing that you’re getting the most bang for your buck! Here are 5 ways you can save in one of our Smoky Mountain cabin rentals. Skip the hassle of finding and paying for a sitter and bring your pup along for the ride! If you are planning on being away from home for a while, the cost for someone else to take care of your pet can really start to add up. Instead, you can enjoy a vacation with the whole family in one of our pet-friendly cabins! The thing that costs the most when you’re on vacation other than attractions, is food! Gatlinburg is home to some of the best Southern cooking for miles around so there are definitely a few places you’ll want to try. However, you can avoid going over budget when you stay in one of our Smoky Mountain cabin rentals with a full kitchen. This way, you can spend less while you cook your favorite meals and then go out to eat at the places you really want to try! Our Smoky Mountain cabin rentals with game rooms will provide hours of entertainment for the kids and the kids at heart! You and your family can take part in a little friendly competition when with a game of pool or air hockey. If you’re up for a game of basketball, check out our Ole Smoky Retreat. This cabin comes with access to an outdoor court where you can shoot a few hoops and get some fresh air! Grab some popcorn and a comfy seat as you enjoy the ultimate movie night! Get the movie theater experience minus the cost in our cabins with a comfortable home theater! You can watch your favorite movie or have a Netflix marathon with friends or family. There are also multiple flat screen TVs throughout our cabins so that if you want to watch something different than your everyone else, you can! Here at Hemlock Hills, we price all of our cabin rentals with you and your budget in mind. For additional ways to save, check out our Discounts & Deals page! We offer discounts for military, fire or police personnel, doctors, nurses, and returning guests! Now that you know all the ways you can save in one of our Smoky Mountain cabin rentals, it’s time to start planning your trip! 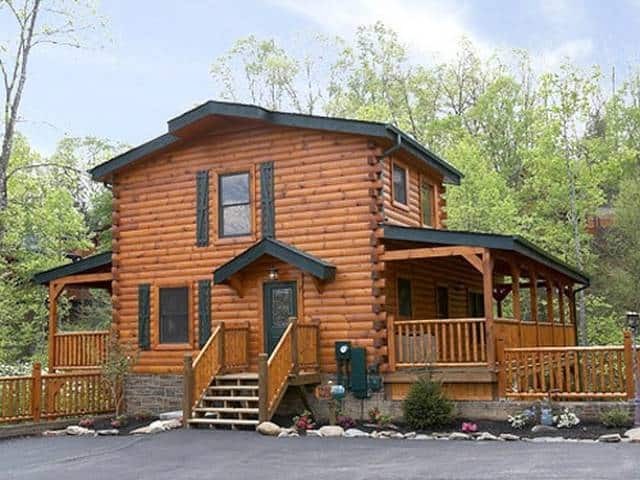 Browse our selection of cabin rentals in Gatlinburg and Pigeon Forge to find the perfect place to stay. We look forward to seeing you at Hemlock Hills Resort Rentals!